As I've written many times, the best filmmaker working today is Christopher Nolan. With such amazing films in his repertoire as Memento, Insomnia, Inception, Batman Begins and The Dark Knight, he has cemented himself as an expert in creating the thinking man's action movie. Both TDK and Inception are probably two of my favorite 50 movies of ALL TIME. Therefore, you can imagine how high my expectations were going into this final film of the Nolan Batman trilogy (even after the terrible event in Colorado). I ended up seeing the movie in a packed afternoon show with several co-workers on opening day. The Dark Knight Rises picks up eight years after the events of The Dark Knight. Batman/Bruce Wayne (Christian Bale once again in the role he will most be remembered for when his acting career ends) is in recluse and Gotham finds itself under a new reign of terror as the menacing Bane (Tom Hardy taking over for Heath Ledger's Joker without hardly skipping a beat) imposes his will on the city. Back to assist Wayne/Batman once again are police commissioner Gordon (Gary Oldman), Michael Caine's Alfred and Morgan Freeman's version of Agent Q, Lucious Fox. Nolan manages to weave in his Inception veterans Joseph Gordon-Levitt (Detective John Blake) and Marion Cotillard (Wayne's love interest Miranda) into the all-star cast which includes Anne Hathaway as Selina Kyle (she's actually never referred to as Cat Woman in the movie). The 2:45 run-time of this movie combined with the mega-budget effects (with hardly any CGI effects - a Nolan staple) and the high quality of acting all add up to a very epic feel throughout. There are several fight scenes that are just incredibly intense and the overall character arc of Wayne (especially a mid-film trip to a remote prison) is fascinating to watch play out. Not once did I think of looking at my watch nor find myself bored at any time during the movie. Nolan is able to build up the tension throughout and pair it beautifully with a methodically thrilling musical score from frequent collaborator Hans Zimmer. Bale is solid as usual in both portraying brash confidence as Wayne, and in exuding bravado and heroism as Batman. This trilogy just wouldn't quite be the same without him. 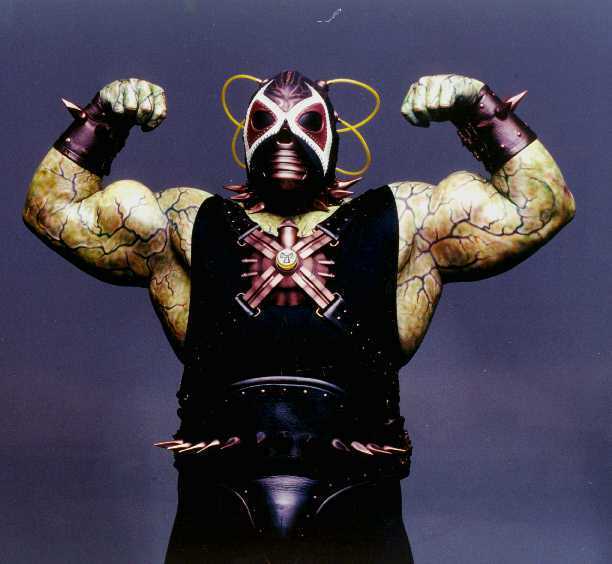 Hardy steps up to the plate and hits it out of the park as Bane. The goofy Bane from Batman and Robin is a distant afterthought after witnessing this masked menacing performance. The opening scene alone (which depicts a fantastic mid-air heist) both introduces the audience to Bane and instantly makes us feel fearful of his large than life intensity. The strange sing-songy gruff tone of Hardy's muffled voice adds to his sinister presence. Mark my words, Tom Hardy is about to blow up in Hollywood and will hopefully use the boost this role gives him that Heath Ledger missed out on with his untimely death. Hathaway manages to fill the boots of "Cat Woman" without going too much over the top with the cheesy-ness factor. I'm not sure if I totally bought the love-connection between her and Bale, but she definitely added to the story and did not distract from it (with the exception of some distracting skin-tight outfits). The ending of TDKR is slightly open-ended but reveals several possible outcomes that could either extend the series (with a new director - Nolan has repeatedly said that he's done with the Bat) or close the book on this version of the caped crusader. Although the actual outcome is not clearly spelled out, but we do get a good sense of closure and this trilogy wraps up very well while featuring several effective plot points that tie back to Batman Begins. In looking back on the three films, TDKR falls JUST short of TDK in overall quality. 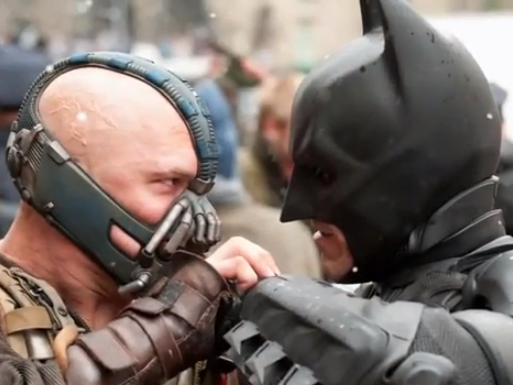 Ledger is just a tad bit more memorable as a villain than Hardy's Bane (although Hardy totally owns this movie). I liked TDKR better than Batman Begins though and the trilogy as a whole is actually right up there with the original Star Wars trilogy. (Sorry but nothing comes close to Peter Jackson's Lord of the Rings masterpiece) This is without a doubt one of the best movie experiences of the year and I hope this gets recognized come Oscar time as a Best Picture candidate. Totally gripping from start to finish with a great supporting score from Zimmer, The Dark Knight Rises brings out the quality craftsmanship of a master (Nolan) at the top of his game. 5 out of 5 JR's for a worthy successor to The Dark Knight. Batman Begins was the best in the trilogy. All were excellent though. It’s all about the Dark Knight. One of the best films I have ever seen. Ledger deserves an Oscar for that study in villainy and truth. A philosophical action tour de force.